If you are an affiliate geek, then you definitely don’t want to miss this super Affiliate Summit of the year in Morocco. 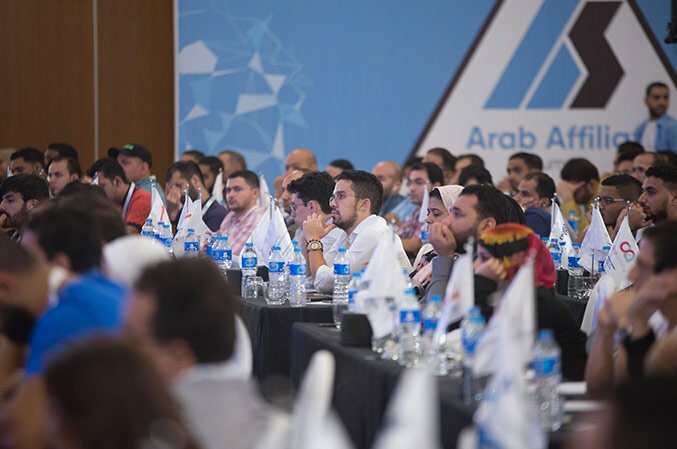 By connecting through networks and massive business opportunities under one roof, Arab Affiliate Summit has achieved by par excellence. AAS was founded in 2014 by calling upon the big giants in the affiliate industry that included affiliates, merchants and digital marketing agencies. This is why when you attend this event you will meet some of your lost friends and big business opportunities to grow your career in the affiliate industry. The affiliate marketing world is overgrowing and Arab Affiliate Summit is one of the key players playing an essential role in the growth of the affiliate industry and has changed the lives of many affiliates with super excitement. One of the key reasons that people often don’t miss this event and are always excited about this event is industry education. People attend this event in a large number to learn the latest trends in the affiliate marketing industry that includes digital marketing, social marketing and more. At AAS 18 you get exposure to the real world of digital marketing and affiliate marketing and learn a lot through open talks and panel discussions. One to one meeting is the most fantastic thing that you can ever imagine of as one to one meet builds a partnership that lasts long and creates new business opportunities. This event enhances your professional skills and gives you the confidence to work with the prominent merchants and flourish your business on a global platform. When is Arab Affiliate Summit? How to register for Arab Affiliate Summit? Arab Affiliate Summit After Event party! Arab Affiliate Summit 2018! Should you visit? The first Arab affiliate Summit was held in 2014 in MENA followed by other eminent places and this year 2018 this grand event is going to take place in Casablanca. The event will be organized in Hayatt Regency Hotel, Casablanca from 1st – 3rd November with over 20+ prominent speakers and over 20+ successful online business leaders. There are four passes available with different features associated with each pass. Only very few days are left to register for this event. So hurry up and don’t miss this opportunity as the prices will go higher once the registration date ends. The Standard pass is now available only for $245 and includes 2-day talks and panels, 2-day exhibition hall, networking activities, affiliate bag, and discussions & panel material. If you have a low budget or attending this event for the first time, then you can choose this ticket. Premium Pass costs $385 with features that are included in the standard pass and also additional features such as 1-day interactive workshop, mentors roundtable, and AAS workshop material. If you are someone who likes to gain knowledge by attending a workshop, then buy this ticket by paying little extra but no comprise on increasing industry education. VIP Pass is indeed not the cheapest, and hence it costs $595. It has something that will keep you entertained throughout this event. This pass has all the features of standard and premium pass with special AAS speakers lounge access, Business Patch Meetups that allows you sit face-to-face and discuss new business opportunities and lastly exclusive access to Master Mind Workshop. If you own a company, then this event has a special pass for your organization too. The company pass costs the same as VIP pass, i.e., $595 with the same features as that included in the VIP pass except for the exclusive access to Master Mind Workshop. One added advantage of this pass is that your company logo will be printed on passes and website. With your company logo on the passes and website, your business will get global exposure to the Arabian market, and there will be a boom in business opportunities. AAS is such as a big event that it not only has platinum, golden and silver sponsors but also titanium sponsors. ArabyAds is the Titanium sponsor for AAS. Platinum sponsors include affle, Q8Trade and vene. Wiio is the golden sponsor for AAS. Silver sponsor includes combo which is one of the most famous and renowned affiliate marketing networks and also NetAffiliation. The official telecom partner for AAS is orange that is known for its high-quality broadband internet service around the world. Booking.com and Lagare.ma are the strategic partners. Booking.com is the most excellent travel booking site for booking hotels around the world at the best affordable price with a smooth and fast booking process. There are different workshops held at AAS like Affiliate Track, e-commerce track, and hot seat mastermind. Every workshop has its own advantage and is for those who want to grow their business and scale themselves to a new height by pursuing knowledge from the experts. Only those who purchase the Premium or Company Tickets are eligible to attend different workshops conducted at AAS. Affiliate Track can be attended by affiliates & super affiliates, media buyers, affiliate business owners, advertisers and traffic sources. Attending affiliate track workshop entitles you to a lot of benefits like gaining technical knowledge from industry experts, explore new tools, learn some tricks and implement it to soar profits, network with super affiliates. This will be the beginning of a new chapter in your affiliate life, and you will rise to new heights. Attendees for this workshop is maximum 200 so don’t miss your seat. Book in advance and enhance your skills so that one day even you become a super affiliate. E-commerce track can be attended by affiliates & super affiliates, e-commerce specialists, advertisers, store owners, and service providers. Speakers imparting knowledge in this workshop include Nick Peroni and Raki Bench Id Yahia. Hot seat Mastermind is for those who seek to learn at the very first stage of their startup. This workshop will help you manage your team which can include freelancers and in-house techie. If you are not satisfied with your income and want to convert it to 7 figures, then this workshop will scale your sales and ROI. Increase your contacts by building a business group among the attendees and discover new business opportunities. Network with mentors and affiliate experts to unlock new ideas and learn the dos and don’ts. This workshop should be attended by those who have initial start-ups and seeking to learn to grow their start-ups, entrepreneurs whose businesses run online in the field of e-commerce, travel, food, affiliate, etc. This workshop can also be attended by founders who need help in managing and planning their business. Entrepreneurs, founders, business leaders can share their business life story and experience with the attendees. Networking parties are best places for enhanced business and greater networking as it enables you to meet & know new affiliate friends in` party environment. It is understood the best business deals are cracked in parties, So like every time and like other Affiliate Conferences, Arab Affiliate Summit is organizing a large after event party exclusively for affiliates. Meet Affiliate networks and discuss exclusive offers for your traffic. Exchange experiences with others in my line of work. There are also numerous Entertainment shows with singing and guitarist, Animation gnawa, and international singes shows which is one of the best fun sessions in the whole event. Attending affiliate summits and meetups is no doubt one of the mightest investments in your affiliate career. Arab Affiliate summit is packed with powerful mindsets of super affiliates and networking community in the middle of the globe. With the maximum of premium advertisers now being in gulf area and advertising companies looking for premium gulf traffic, wants all their attention in Gulf region. They wish to dominate the Arab affiliate market, and hence if you are looking for any kind of opportunity to scale your affiliate earnings to next level, Sure-shot attending AAS 2018 in Morocco would be the best decision. I guarantee it. One can apply for any entry passes no their official website. If you have received any Arab Affiliate summit coupon codes, you may use it on their billing page to get some discounts on the pass. AAS teams help you in getting your visa for Morocco easily by offering your Detailed visa invitation letter, Sop you can visit their AAS visa section and enter your passport details + personal details to get visa invitation letter which is your first step to stepping into Morocco. The AAS team also helps you to explore Morocco with exclusive YLA NSAFER packages of 4 days, 7 days and 10 days. They have built customized packages for affiliates,. So if you are interested in roaming the city including all the memorable places, monuments, deserts, mountains, safari then you may visit https://arabaffiliatesummit.net/yla-nsafer-discover-morocco-in-days/ to get details about YALA Morocco packages. If you have the passion for becoming a successful affiliate with a 6 figure income and wanting to soar profits like never before then attending AAS 2018 can be a life-changing experience for you. By attending this event, you will gain superior knowledge and break the boundaries that limit your excellence. In this event, you will get to know the best traffic types to improve your ROI, profitable verticals, account strategies and how to compete with other by standing firm and never back down approach. We will be waiting eagerly to welcome you with open hearts at this summit.